The South Haven Garden Club Facebook page is an extension of our club on the Internet. It is an additional way to communicate among ourselves and other like-minded individuals. It’s also a great way for new people to hear about our club. We recognize that members would like to have a way to share information with other garden club members, to ask questions, share your photos, and stories about our own gardens. Plus you get to see this same information posted by other club members. Our Facebook page is also a great resource for you regarding club events, meetings, reminders and fun photos from past activities. How can you use it to help others? Our Facebook page is also an excellent way to communicate with people in the community or other like-minded individuals. We want to encourage the public to ask questions so we may be able to help solve problems or provide referrals to other resources if needed. Members are welcome to invite friends to visit our Facebook page to keep up with gardening news and receive gardening tips. How does it help the public? Our Facebook page is a beneficial way to advertise our meetings, events, workshops and fundraisers. This is an additional method for individuals to discover our club and attend our club events. This is especially true for potential new members. Our Facebook page is open to all. You can view the Club page without joining Facebook. However if you want to post a photo, make a comment or ask a question, you need to be a Facebook member. The Garden Club has a web site to keep members informed about club functions and provide educational content. Club members are able to use the web site as a complete resource regarding the function of the club and current information about club activities. Non club members are able to access information about the club, how to join, and additional horticultural information. No personal contact information is given out from our website. The current website cost of $15/month for the web hosting and $15 per year for domain name. First and foremost, all club members should talk to people about this scholarship. Take a few moments to inform friends, family or any new people you meet about this great opportunity. Word of mouth is a powerful tool. Additionally you could join this project group to help find qualified scholarship candidates. We need new ideas on how to make this program more successful. This is a great volunteer opportunity to really make a difference. What does it take to volunteer? Most work can be by telephone or email, but there may be a need to visit area schools and agriculture employers. Contact area news organizations or any other group which may facilitate finding qualified candidates. Volunteers may need to help a candidate through the application process and/or provide encouragement. And finally, assist the Garden Club Board in selection of scholarship winners and track the success of the current and previous years’ scholarship winners. 2-4 Needed for research, site visits, write article, facilitator / past recipient tracking. 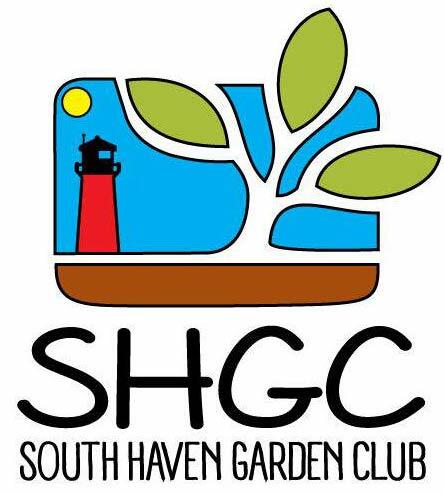 The South Haven Garden Club provides up to two $1000 scholarships per year to qualifying students. We don’t receive any in kind donations. The South Haven Garden Club members make 20-35 floral arrangements a week for Hospice patients and their families. These “green gifts” are made with donated flowers from local stores, nurseries and from our own gardens. These arrangements of fresh flowers are intended to be uplifting for each recipient and include a tag from “Hospice at Home” and Garden Club. The hospice patients so enjoy and appreciate receiving the bouquets from our volunteers! How can club members participate? Come join us to work with the flowers. An alternative from doing the actual floral arrangements, members could donate (the always needed) flowers from their personal gardens or if you know of any additional sources of green materials please let us know. We also need volunteers to pick up flowers at the donation locations. We meet at Hospice at Home, 05055 Blue Star Hwy, South Haven every Tuesday from 1-2:30pm to do the floral arrangements. The South Haven Garden Club provides the labor and flowers and other materials are purchased or donated. The South Haven Garden Club provides $500. In preparation for Club Fundraisers in November and July of each year, club members create items to sell. All these items are sold at the Garden Walk or during the Holiday Craft Sale. This is an important part of these fundraising activities. Club members meet weekly for a couple of months before these events to create garden, home or holiday related items. These “craft parties” are held at Nancy Daugherty’s home. Work days are flexible to try to meet everyone’s schedule. Join other club members at Nancy Daugherty’s “craft parties” or if you are an artist or crafter who works from home, we would love for you to make some of your creations for the sale. No skills are necessary to join the “craft parties”, just a desire to have fun and build friendships in a small group setting. There is always something for everyone and we welcome new ideas. Or if you have a special artistic talent we welcome any help or any of your crafted items for the Boutique Sales. All members are encouraged to participate.